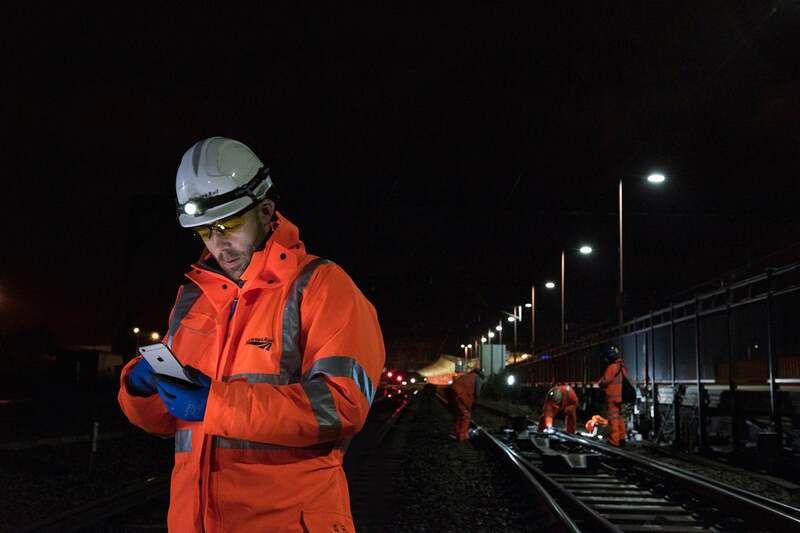 A look at how railways around the world are using iPhone and iPad to support operations, training, passenger engagement, and maintenance. “In the railway industry, businesses around the world are using iPhone and iPad to support operations, training, passenger engagement, and maintenance activities,” said Apple's chief financial officer (CFO), Luca Maestri, during the company's Q318 financial call. I thought I’d find out more. Railways aren’t unique, of course. Apple has become an HR issue for enterprise employers, 81 percent of which who plan to purchase a smartphone in the next few months will buy iPhones, according to 451 Research. Perhaps the most obvious way rail operators are using iOS is also the most mundane. Commuters are using iPhone, Apple Watch, and Apple Pay to purchase travel tickets on a rapidly increasing number of lines, including 12 (and growing) U.S. mass transit services. You’ll find the Apple tech accepted (or about to be) in Moscow, Beijing, Shanghai, Tokyo, Vancouver, New York, Chicago, Sydney, Miami, and Boston. In London, where Apple Pay has been accepted for local transport fees since 2015, over one in eight payments are now made using contactless devices, including Apple Pay. While paying the fare with an iOS device (particularly an Apple Watch) is a great convenience for consumers, the real value of Apple’s ecosystem sits much deeper inside railway infrastructure. The ubiquity of smartphones is driving rail carriers to provide things such as USB plugs and Wi-Fi connections on their trains. That’s driving passengers to expect to find these facilities on trains. Companies such as Nomad Digital are taking this a few steps further, introducing infotainment platforms designed to provide passengers using their iPhones (and other smartphones) with real-time journey and service information, along with entertainment, movie, and other consumer-focused digital services. These solutions are appearing on train routes worldwide — and there’s little doubt that the mobile tidal wave unleashed when Apple introduced iPhone in 2007 has enabled these new industries. Travelers on Australian rail network GSR can monitor where they are during the 4,000-mile journey between Perth and Sydney by watching their train on a map. Network Rail in the U.K. is responsible for managing and maintaining rail infrastructure. It has equipped its railway maintenance, operations, and safety crews with 18,000 iOS devices. The move has made it much easier to handle administrative paperwork, and the company has built 60 apps to support staff in their work. These apps offer things such as technical information, fault reporting, and a Close Call app that maintenance crews use to flag up potential safety problems. An app called Sentinel allows field managers to verify staff ID to maintain track security — there’s even an app to track and identify cable theft. In Tokyo, Metro inspectors use iPads and iBeacon technologies to locate, document, and report problems, rather than carrying stacks of paperwork and heavy digital cameras when making underground tunnel inspections. These solutions also mean maintenance staff can carry all the most current technical and equipment manuals and safety advice. Railways in the U.K., U.S., and elsewhere use iOS devices to help streamline railway management. From constantly updated routing and delay management apps to remote team management, infrastructure, and repair budgeting and more. Senior management in the operations room use Apple’s technologies to get deep and accurate insights into the nature of their networks — iOS devices on the front end of maintenance and operations feed directly back via B/OSS systems to iOS systems in the hands of senior operations management, creating digital efficiencies unavailable within paper-based systems. One great example of this is Hong Kong’s busy Mass Transit Railway (MTR) system, which carries 5 million passengers a day. MTR uses iPhones and iPads in management, construction, and emergency response — it offers a host of apps to access its services. If you’ve ever seen those traffic light systems at the side of railway lines, you’ll likely understand when I call these analogue solutions to signaling and route control. Network operators worldwide are replacing these older analogue signalling systems, (over half the signals in the U.K. need to be replaced in the next 15 years), introducing on-board train controls. These feed more accurate information into central control rooms, enabling improvements in operations and timetable management. The move to make such information digital means carriers anticipate delivering more personalized railway journeys to passengers, making these available via smartphones. Think railway lines and rolling stock equipped with sensors that let you know when they think they may need repair. Train management sensors capable of informing operations staff of their exact position and data analytics sensors capable of providing up-to-the-minute timetable and arrivals information — and all of this information made available through a range of staff-friendly apps. Networks worldwide are being upgraded with this kind of built-in technology. U.S. rail operator BNSF is equipping its 20,000 train and engine service workers with iPads. These are providing all the efficiencies described above, but they also act as front-end devices to access the networks data. “We can use data to drive track maintenance,” explains John Cech, BNSF’s assistant vice president and chief engineer of system maintenance and planning. The operator’s digital efforts extend to autonomous rail condition-monitoring cars, drones, and the development of data analytics and algorithmic systems to help monitor and manage the condition of infrastructure. Data gathered by connected devices at the network edge feeds back to centralized analytics systems to generate advance maintenance and management instruction, and it's all managed via poweful, yet approachable, iOS apps. One day the trains may even run on time. Are you a railway operator? Or are you involved in other compelling/cutting-edge iOS/Apple deployments in other fields of enterprise IT? I want to hear your story, so please drop me a line via one of the social media networks below.